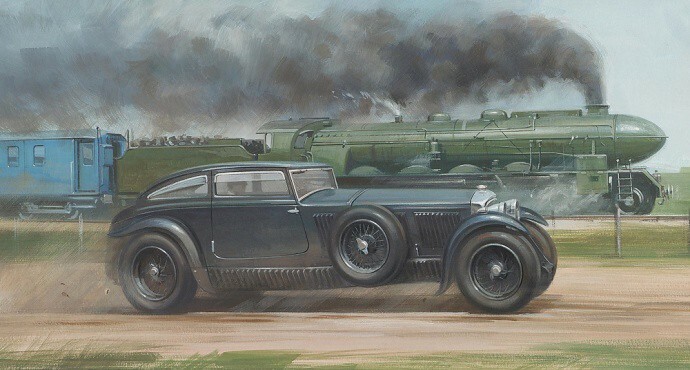 Ahhh, the famous 'Blue Train' race from Calais to the French Riviera in which 'Bentley Boy' Woolf Barnato beat the train in his Bentley Speed 6. Barnato actually used a formal bodied Speed 6 for the journey but when he took delivery of a fastback model the same year, that car was named the 'Blue Train' car. 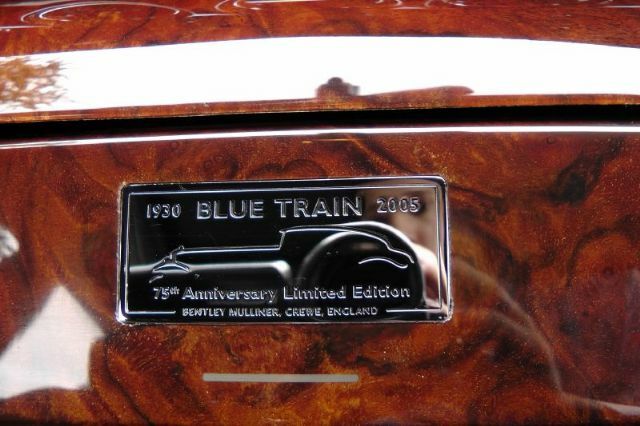 In 2006 there was a special edition of thirty six Bentley Arnages to commemorate that trip. Thirty LHD & six RHD. 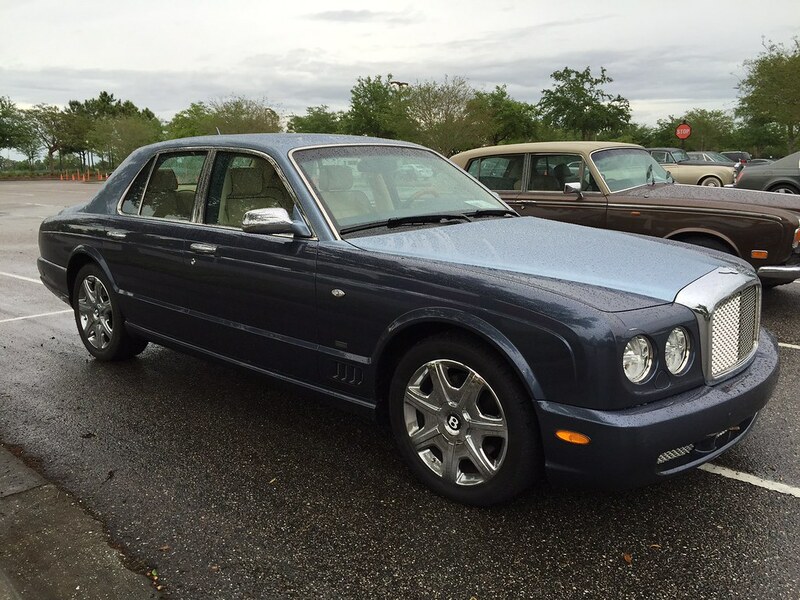 Nineteen inch alloys, chrome grille shell, chrome mirror caps, sunroof, picnic tables, special badging...to name a few features. 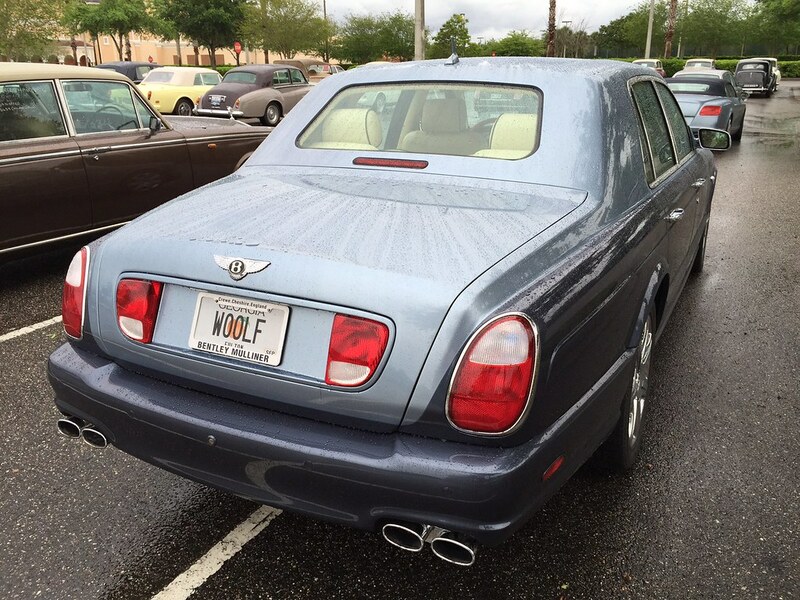 A wet one is at the Orlando meet. Impress the owner. 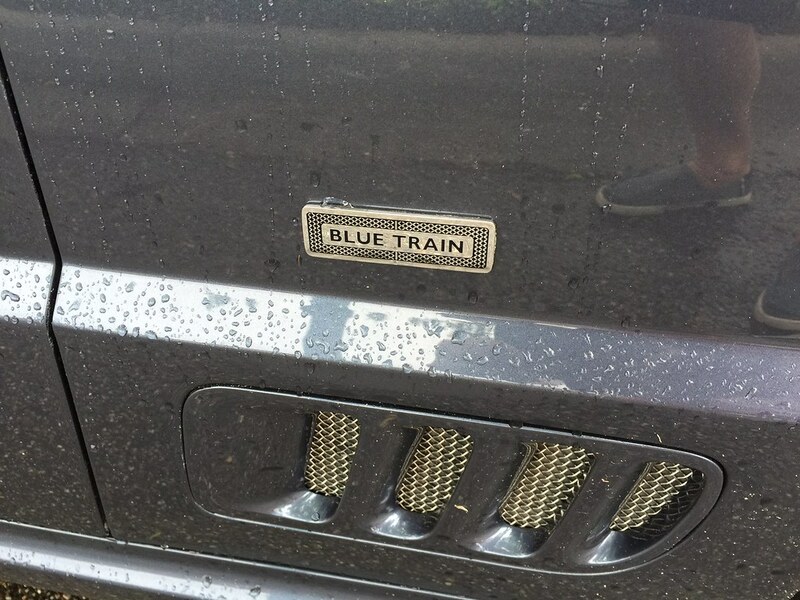 Tell him you understand his plate.